In Pakistan’s case, the ground for Gen Zia’s so-called Islamisation process was laid as long ago as 1948 when the Objectives Resolution made Islam the state religion. Subsequent governments reinforced the ‘ideology of Pakistan’ (a term that was coined in the 1960s). Even the first elected government in Pakistan, Zulfiqar Ali Bhutto’s, tried to appease the clergy when he felt his power weakening. In fact, Bhutto went a step further and also tried to establish Pakistan as a leader of the Muslim world. In the process, his government banned alcohol consumption by Muslims and gambling (particularly on horse-races), made Friday the weekly holiday, and most damagingly, formally declared the Ahmadis as non-Muslims. Pakistan is the only country where members of this persecuted sect cannot legally call themselves Muslims. Enter Gen. Ziaul Haq, under the pretext of ‘Islamising’ the nation, imposed various laws in the name of religion that had far-reaching repercussions that Pakistan continues to grapple with. The most damaging for human rights, women, and religious minorities, were the Hudood laws – punishments included whipping (for alcohol and drug consumption and adultery), stoning to death (adultery) and amputation of robbers’ hands – and the ‘blasphemy laws’, which are a set of laws that the Zia regime added to the previously existing Section 295 of the Pakistan Penal Code. Section 295 (like most of Pakistan and India’s laws is a carryover from the penal code imposed by the British colonists) covered defiling religious places of worship with the intent to hurt the religion of any class. Zia broadened the scope of §295 to cover: Deliberate and malicious acts intended to outrage religious feelings of any class by insulting Its religion or religious beliefs (295-A); Defiling, etc., of Holy Qur’an (295-B); and Use of derogatory remarks, etc., in respect of the Holy Prophet (295-C). These laws together form what is generally referred to as the ‘blasphemy laws’. At one point the critical word ‘intent’ was removed from these provisions (it was recently re-inserted). In addition, the Zia regime made it a criminal offence for Ahmadis to refer to themselves as Muslim or to their place of worship as mosques, or to use any Muslim salutation or terminology that might represent them as Muslim*. The ‘Ahmadi issue’ cannot be separated from the ‘blasphemy issue’ because in the eyes of the ‘religious right’, an Ahmadi representing himself or herself as a Muslim is blasphemous and liable to be punished. Many Ahmadis have been target-killed on this pretext (I use the words ‘religious right’ in inverted commas because I believe they are neither religious nor right, though they lay claims to both in their struggle for political power). Although no blasphemy accused has yet been sent to the gallows in Pakistan, plenty have been dispatched by vigilantes believing that it was the right thing to do – starting with the first ‘blasphemy murder’ in 1992, soon after the option of life imprisonment lapsed and death became the sole, mandatory punishment for 295-C convictions. Even after Zia’s death in 1988, these laws, imposed in the name of Islam, have remained on the statute books, with a few minor changes. The businessman Prime Minister Nawaz Sharif with his links to the ‘religious right’ was able to quietly reverse the Friday holiday back to Sunday (imagine if Benazir Bhutto had tried to do that). Under the ‘liberal’ dictator, Gen. Musharraf the laws governing alcohol consumption began to be less strictly applied (it became more openly sold and consumed). Following an intensive campaign by Geo TV against the Hudood laws (Zara Sochiye, ‘just think’), Musharraf was also able to blunt the teeth of the Hudood laws so that women could no longer be as easily charged with ‘zina’ (adultery) when they had actually been raped. However, the ‘blasphemy laws’ remained untouched, due to their ‘sensitive’ nature, including their incorporation of the most respected figure in the Muslim world, the Prophet (pbuh) himself. It is this incorporation that the ‘religious right’ has taken advantage of. The death sentence handed down to Aasia Bibi in November 2010, and the protests against that sentence, provided them the impetus they sought. He pointed out that while western observers have a right to express concern at what they perceive as human rights abuse in Pakistan, just as Pakistanis have a right to protest at human rights violations. And secondly, “the idea of presidential intervention is counter-productive. Reprieve for a convict or two will not solve the problem. Future victims of the controversial legislation may have no defender at home or abroad. A critical appraisal of Section 295-C has become imperative, particularly because the Pakistan Penal Code (PPC) provision does not even enjoy the unanimous support of Islamic scholars” (The Blasphemy Law, Dawn, Nov 25, 2010). 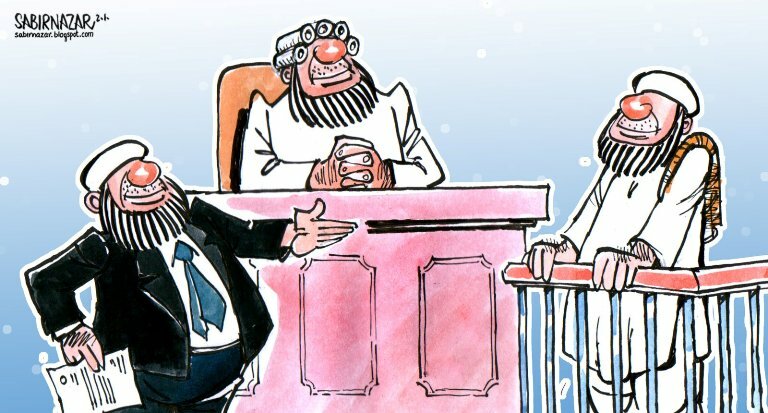 Instead of the appraisal, the ‘religious right’ led a storm of politically motivated criticism against Punjab Governor Salmaan Taseer who had taken a public position in support of Aasia Bibi, falsely accusing him of ‘blasphemy’ because of his statements calling for reform of this law. Cynically milking the ‘blasphemy’ issue to gain political mileage, they appealed to the one thing that unites all Muslims regardless of sect — the honour of the Prophet Mohammed (pbuh) that they falsely claimed that Taseer had violated. Interestingly, until these two issues were conflated in the public discourse, the various Muslim sects in Pakistan were often at loggerheads — about half of the blasphemy cases are registered against Muslims, by Muslims of a rival sect. The Human Rights Commission of Pakistan (that I.A. Rehman heads) has since its inception in 1987 conducted several studies on the ‘blasphemy laws’ and their repercussions. Much water (and blood) has flowed under the bridge since then, most notably with Governor Punjab Salmaan Taseer’s murder in Jan 2011. The ‘religious right’ – which now includes right-wing lawyers – has been able to generate visible support for his murderer, Mumtaz Qadri, garlanding him, showering him with rose petals and making him into a national hero. Murderers of perceived ‘blasphemers’ have been glorified in the past too. But as I.A. Rehman notes in Surrender to Fanaticism, “When Ghazi Ilmuddin killed (Rajpal) for blasphemy nobody said he was not liable to be tried under the law… Today the situation is radically different. The orthodox clerics are supporting their quaint theory of private justice and denying a person’s accountability under the law on the ground that his action is not an offence under the Islamic code” (in The News on Sunday, Special Report, Oct 16, 2010). “Unfortunately, mischief takes root easily and quickly and its eradication needs a long period and often demands heavy sacrifice. The fight against religious intolerance will be long and hazardous. The first task is to realise the gravity of the challenge. The people of Pakistan must know they will have no future if the monster of bigotry and obscurantism cannot be laid to rest. What they face is not merely a law and order problem and therefore they will get nowhere by addressing symptoms alone. The mindset that has developed over six decades will have to be purged of all traces of abuse of religion. There are no short cuts in this process. Besides redefining the role of religion, Pakistanis must unite for democracy, rule of law and justice. A continuation of the electoral, democratic, political process is what will, in the long run, counter the ‘religious’ frenzy that is hyped up by the media. * The Zia regime also amended the passport application form, requiring applicants to state their religion. Those who entered ‘Islam’ as their religion must now sign a statement affirming their beliefs and stating that they consider Mirza Ghulam Qadiani (the spiritual leader of the Ahmadis) “to be an imposter nabi and also consider his followers whether belonging to the Lahore or Qadiani group to be Non-Muslim”. A similar declaration must be signed for the National ID card form). If Pakistan wishes to fulfil its potential, it must reform, educate and persuade its people to reject fanaticism and hatred. Successive governments have departed from the moderate, tolerance espoused by its founders. They have squandered the promise that it showed in the 1950s and 1960s. Pakistan faces a bleak, dystopian future unless it rediscovers Islam’s peace and tolerance and takes back its religion from the hate-filled fanatics whose primitive understanding equates honouring the message of Islam with throwing acid in the faces of girls, or killing those (like Ahmadi Muslims or Shia) they disagree with. I wish Pakistan well, but it has no prospect of taking its rightful place among nations unless it reforms itself.